The management at ilani took advantage of incentives to purchase three gas-fired condensing boilers to help with space and water heating. The boilers were installed in the resort’s central utility plant, set off from the main building. The new boilers require less maintenance, which frees up time for staff to focus on other tasks. 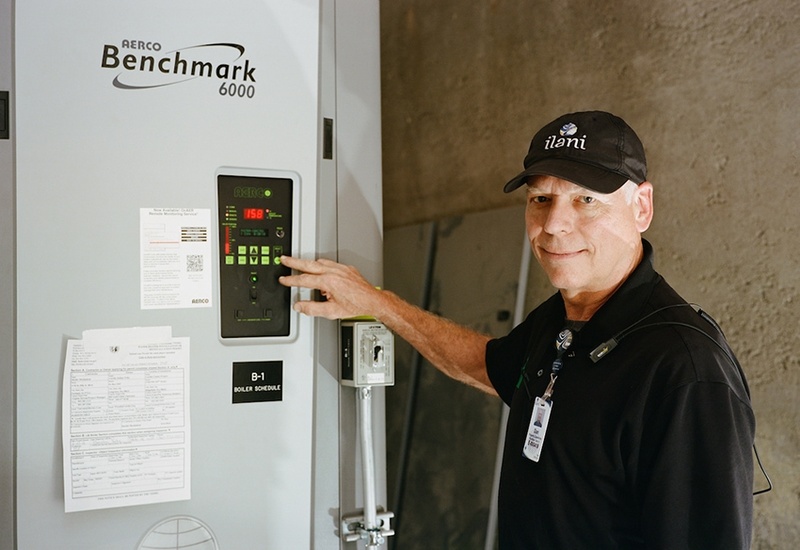 “Because the boilers have been working so well, it’s allowed us to do other work inside the casino to keep it looking and feeling brand new for our guests,” explained Jeff Young, ilani’s director of facilities.